LEBANON, Tenn., April 9, 2018 /PRNewswire/ -- Cracker Barrel Old Country Store® today announced the arrival of the Goo Goo® Cluster Latte, a new premium coffee beverage inspired by the Goo Goo® Cluster, a beloved, iconic candy of the South and America's first combination candy bar. 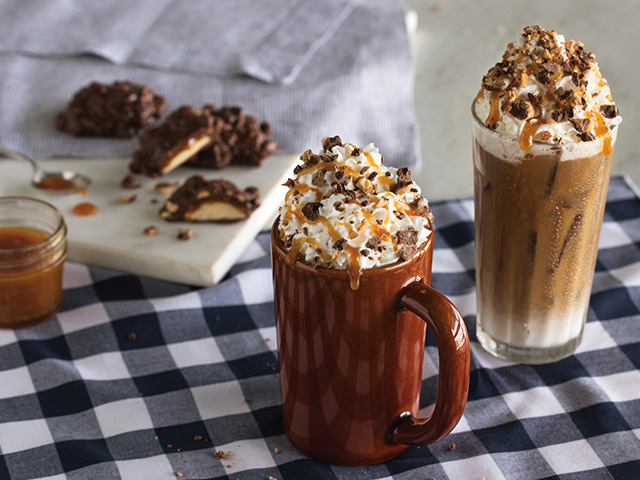 Available at all Cracker Barrel® locations nationwide beginning today, the Goo Goo Cluster Latte is a blend of rich espresso and steamed milk combined with classic caramel, milk chocolate, peanut and nougat flavors. 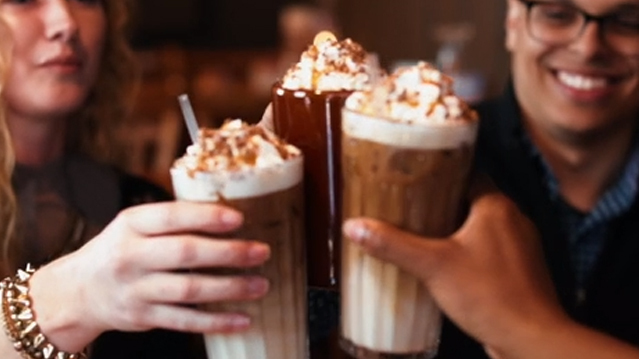 Cracker Barrel is introducing this new expression of the classic Southern candy as part of the launch of its Crafted Coffee line of handcrafted espresso drinks that honor traditional coffee flavors, while also crafting fun, signature and seasonal flavors. Cracker Barrel announces the arrival of the Goo Goo Cluster Latte, a new premium coffee beverage inspired by the Goo Goo Cluster, a beloved, iconic candy of the South. Handcrafted to order, the Goo Goo Cluster Latte can be enjoyed hot or cold and is made using signature espresso beans, topped with whipped cream, caramel drizzle and chopped Goo Goo Cluster candies. 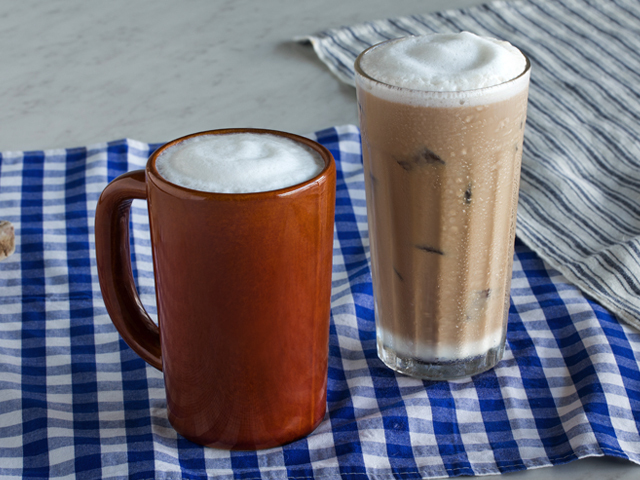 The Goo Goo Cluster Latte is offered alongside four other unique beverages on the Crafted Coffee menu, including Mocha, Latte, Vanilla Latte and Caramel Latte. Each beverage can be served hot or cold. 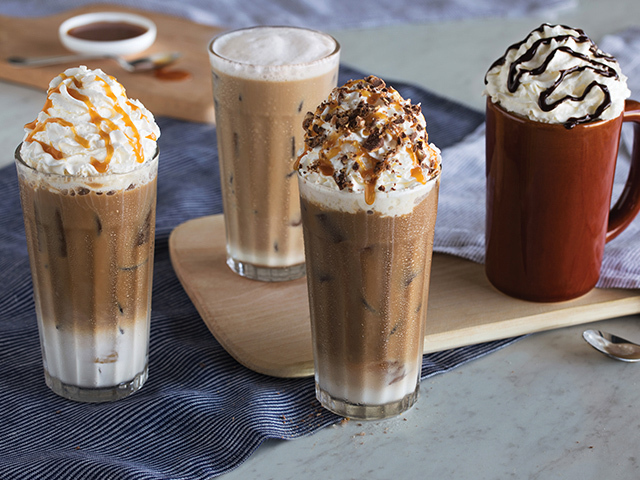 Other unique beverages on the Crafted Coffee menu include the Plain Latte, Caramel Latte, Vanilla Latte, and Mocha. Each beverage can be served hot or cold. "Part of the unique Cracker Barrel experience our guests love is rediscovering nostalgic candies that remind them of their childhood, so the well-loved Goo Goo Cluster holds a special place on our shelves," said Cracker Barrel's Vice President of Culinary Cammie Spillyards-Schaefer. 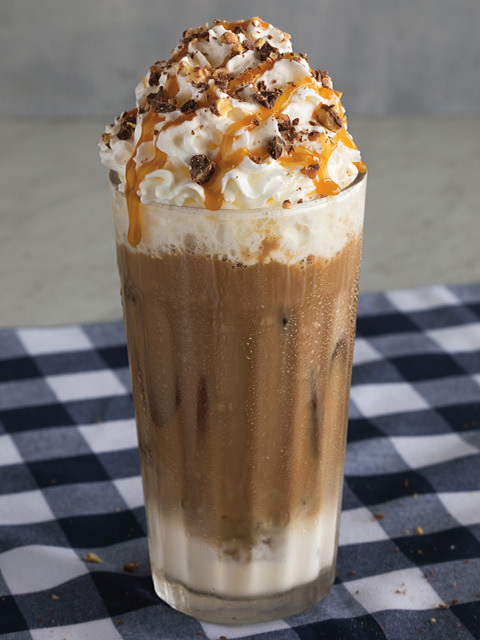 "The Goo Goo Cluster Latte offers guests a new way to enjoy this classic candy, which makes it a perfect addition to our menu that honors the heritage of homestyle food while also introducing exciting Southern twists." Handcrafted to order, the Goo Goo Cluster Latte can be enjoyed hot or cold and is made using signature espresso beans that are medium roasted and freshly ground for a rich, flavorful coffee experience. A topping of whipped cream, caramel drizzle and chopped Goo Goo Cluster candies completes this unique celebration of America's first combination candy bar made with multiple ingredients. "First made in Nashville in 1912, the Goo Goo Cluster has been enjoyed by generations across the country," said Goo Goo Cluster Vice President of Sales and Marketing Beth Sachan. "Cracker Barrel and Goo Goo both share a special place in people's hearts because they invoke nostalgia and celebrate a shared American heritage, and the Goo Goo Cluster Latte is a unique homage to America's original combination candy bar."